We normally suggest a regular account transfer (free of charge) to your bank where you hold your mortgage. Normally your mortgage bank does not charge you for an early withdrawal. Has anyone looked at putting swiss REIT’s in their VIAC allocation? 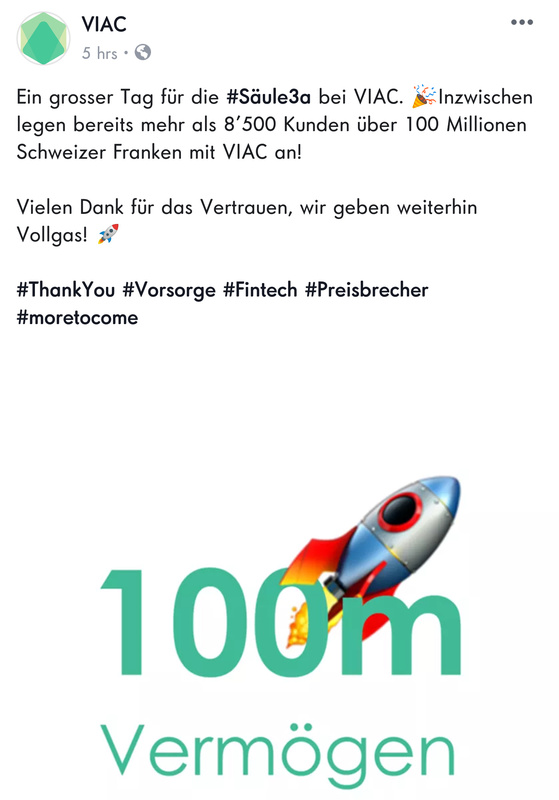 So in a little over a year, that’s from 0 to theoretically 500’000 CHF annual revenue for VIAC from fees. Good for them! Web version coming in a few weeks. You know, I was set to invest in VIAC last year, I installed their app and all was left was to send the money. Eventually I didn’t make that step. Maybe the web interface will also convince me. I honestly don’t get it why so many apps tie you to use the phone (instagram, whatsapp, uber, revolut). It’s not rocket science to make a web app. 8’500 customers, 100 million AUM, 500k revenue: that’s nice for starters, but I think they will need to multiply it by 10x in order to get profitable. 100 million is impressive, but 500k income is really nothing. 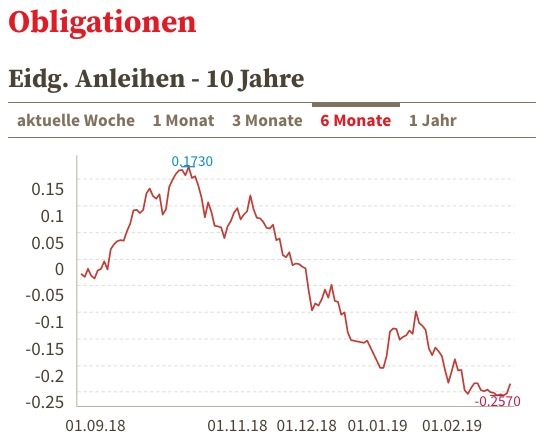 This is the money that one manager can make in a year in Switzerland. I’m not. Didn’t I write “that’s nice for starters”? If all of these 8500 clients invest 6700 again this year and another 8500 open an account then we have another 100 million in AUM. It’s easy to reach a snowball effect. But 500k of revenue per year is nothing impressive. Especially if there was an initial investor who gave them money to grow. Then they don’t even own that 500k wholly. I guess you’re too late to invest. Unless they would look to offer some new services and need even more cash. Oh yes, you “made” 5%. Next month you may lose 5%. Unless it’s in your pocket, I wouldn’t cherish it so much. What is the purpose of having a second portfolio in VIAC in case I just want to have 1 single strategy ? Would be possible to have 1 single portfolio and transfer funds each year to this portfolio ? In my case, I’m interested to build a portfolio which track as close as posible the performance of the FTSE Global All Cap Index (like VT). Do you think this is posible with the current asset List available via individual strategy ? The purpose of having multiple portfolios is tax optimization at withdrawal. When it’s time to take out your money you have take out all your money in the portfolio at once. Since the tax at withdrawal is progressive it makes more sense to split your money in couple of portfolios so that you can stage the withdrawal over couple of years. I’m interested to build a portfolio which track as close as posible the performance of the FTSE Global All Cap Index (like VT). Do you think this is posible with the current asset List available via individual strategy ? Their Global 100 is probably as close as you’re gonna get. I agree. By saying “from 0 to 500’000” I wanted to emphasise the growth rate as well as the 500k, it’s all about growth for a start-up. 500k is not going to go that far for any company, on the other hand let’s hope they never employ any new “managers” at 500k, cos frankly there’s no need for them. To compare growth in AUM, I looked at Postfinance 75, at it had a lowish TER (relative to other products back in 2016) and higher Stock allocation (relative to other products in 2016) and I happen to have a few old sheets from Postfinance 75 lying around. Yes, I suppose the asset list would allow it, but it’s not possible due the regulatory rule that about 40% has to be in CHF, which means Swiss equities (if you avoid hedged ETF’s like it is recommended to, due to cost). 60% VT-similar, 40% Swiss is the closest you can get to VT.
Maybe reduce Swiss equities outside of your 3a, so that you can lower your Swiss total exposure on average. We will launch our web version on 20th of February (if testing continues without major complications). We are already looking forward to your feedback! Hello, I’m new to this forum and interested to sign up for VIAC. Does someone have a reference code I can use? It seems the ones given are all used. Thank you. I suppose there were some complications? Please feel free to review, critique and challenge. I would highly appreciate any feedback. By the way: Does anybody know where I can find the current market capitalization of the SPI Extra? The most resent numbers I found are from Dec-2017.